Looking back on my recent posts I realized I haven’t actually posted any recipes in a really long time, so this post is the remedy to that. 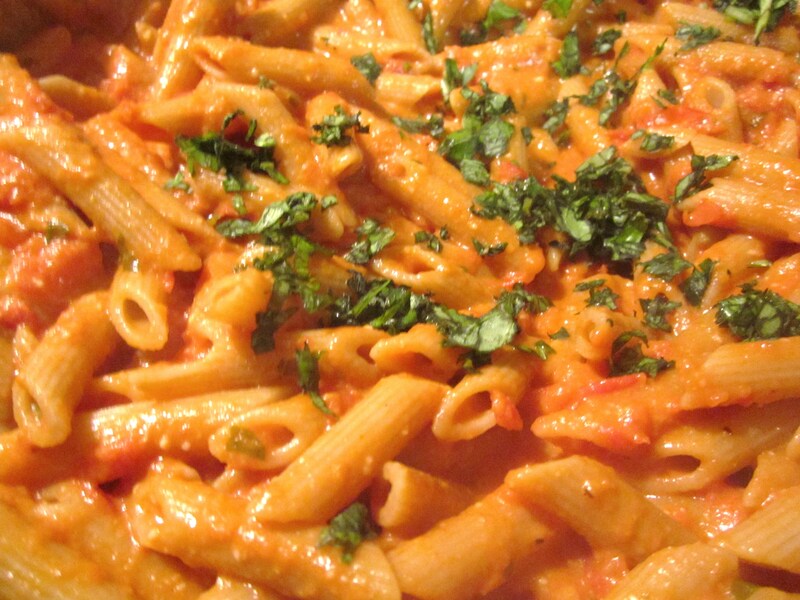 I present you with my recipe for penne with vodka sauce. 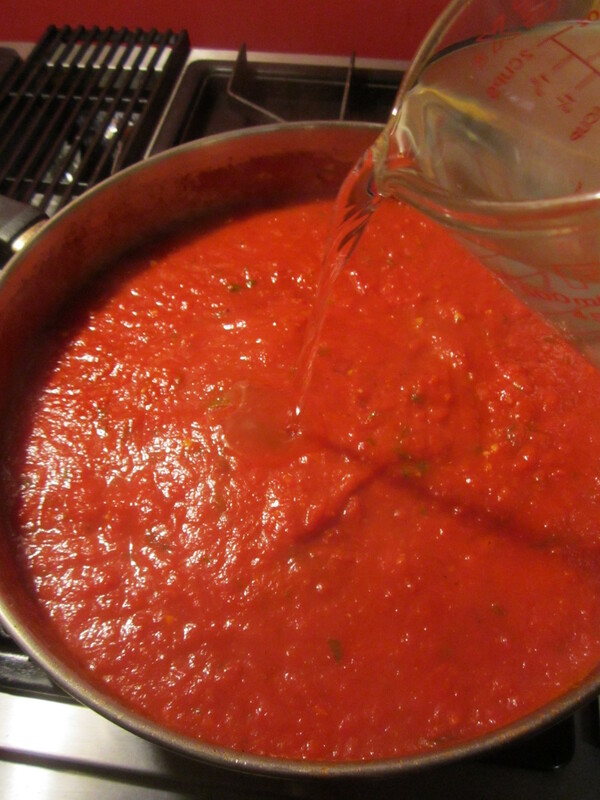 I came up with this recipe a few years ago after searching foodnetwork.com for a vodka sauce recipe. I didn’t find one that I was happy with so I ended up combining a couple different ones (which I tend to do a lot when I’m looking for a recipe). 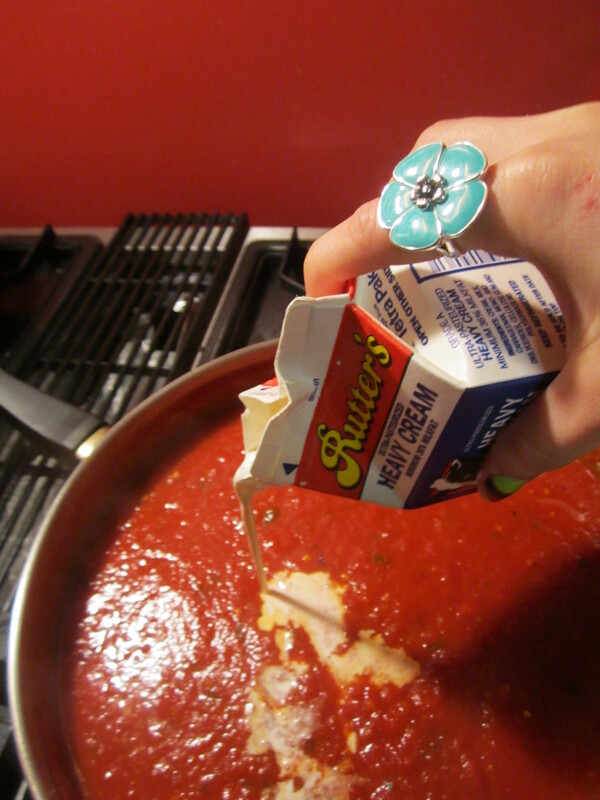 Anyway, it’s pretty simple and is incredibly delicious! 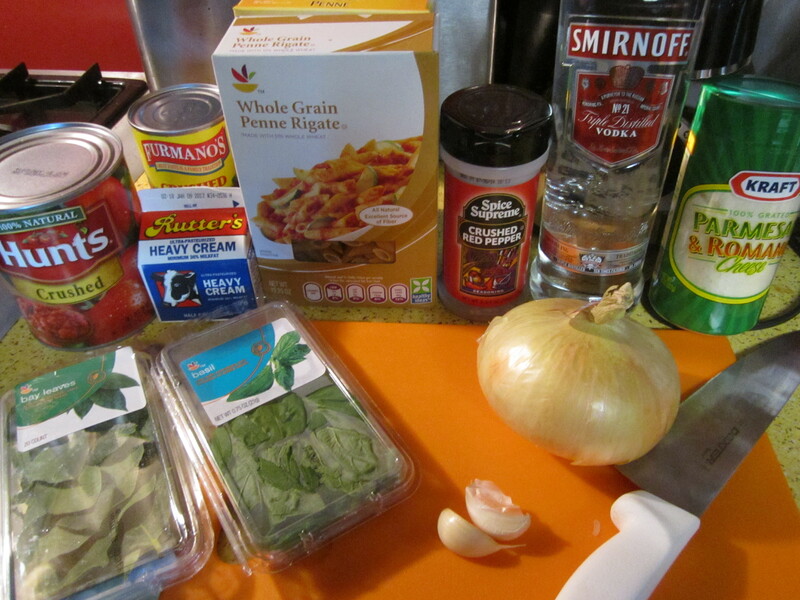 First, gather all your ingredients: penne, onion, garlic, olive oil, crushed tomatoes, bay leaf, basil, vodka (I recommend NOT using the cheapest vodka you can find… trust me, spend a little more), basil, crushed red pepper, heavy cream, and grated Parmesan. 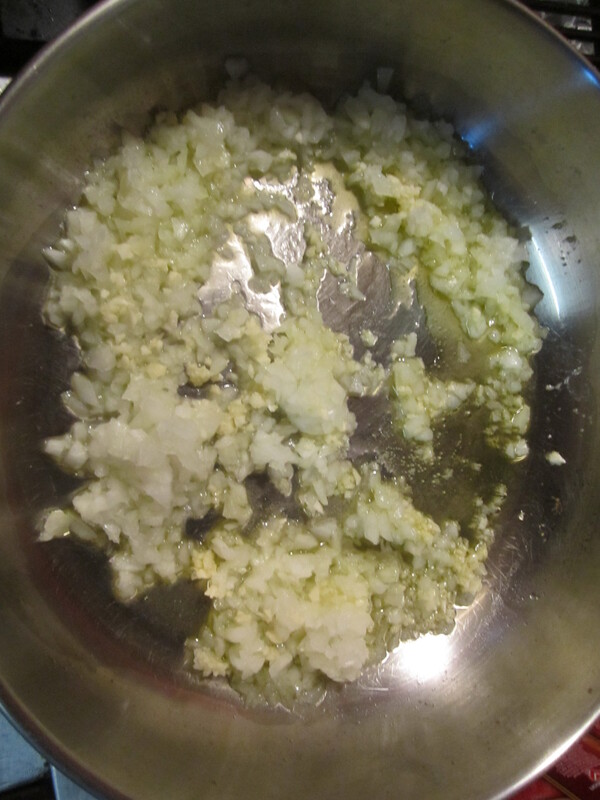 Mince the onion and garlic and cook in the olive oil until translucent. 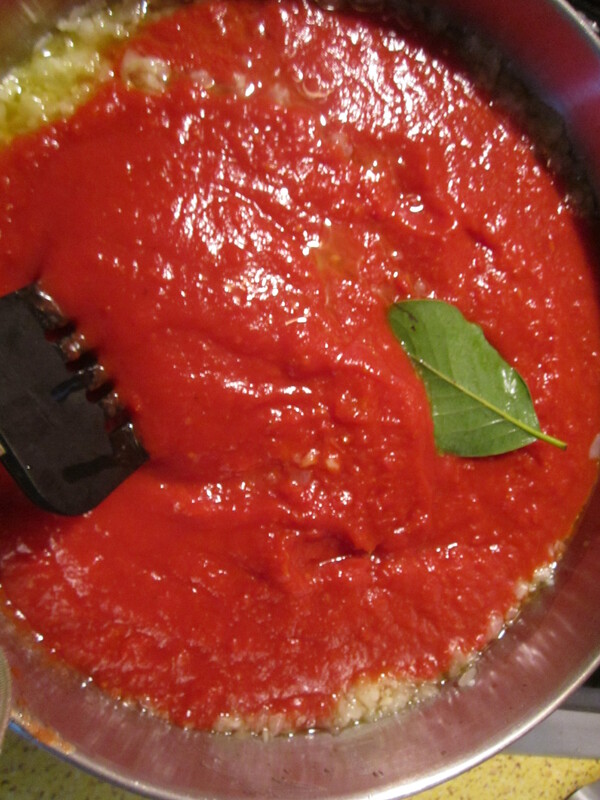 Then add the crushed tomatoes, bay leaf, salt, and pepper, and simmer, stirring occasionally for one hour. 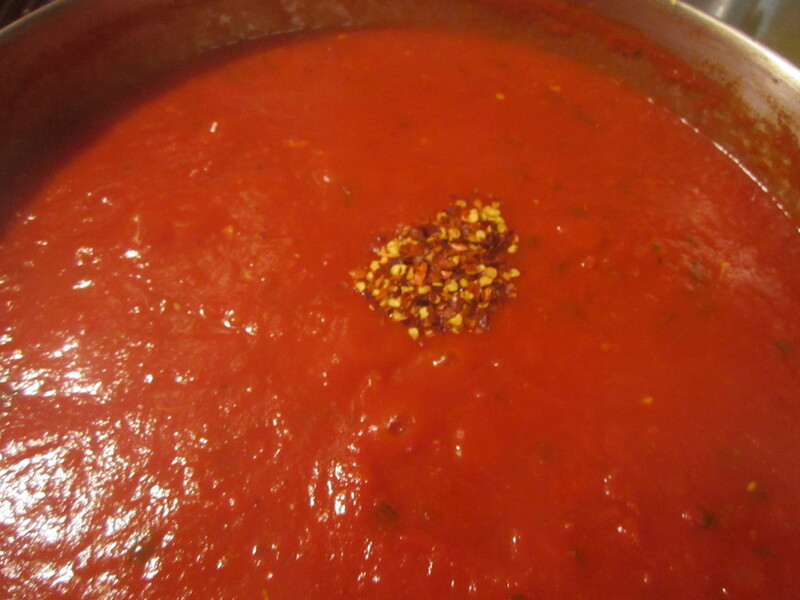 Add the basil, crushed red pepper flakes, and vodka and simmer the sauce. 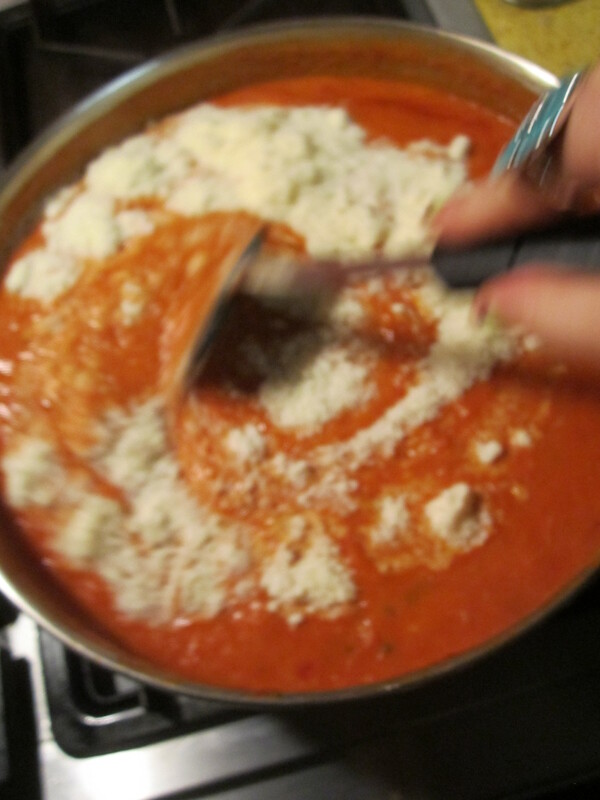 Stir in the cream and Parmesan cheese and simmer 5-10 more minutes. 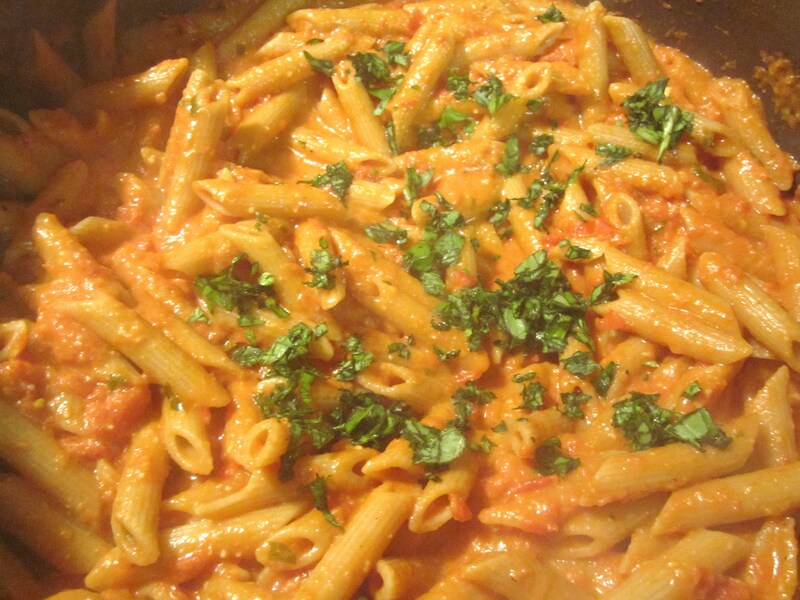 Finally, stir in the cooked penne pasta. 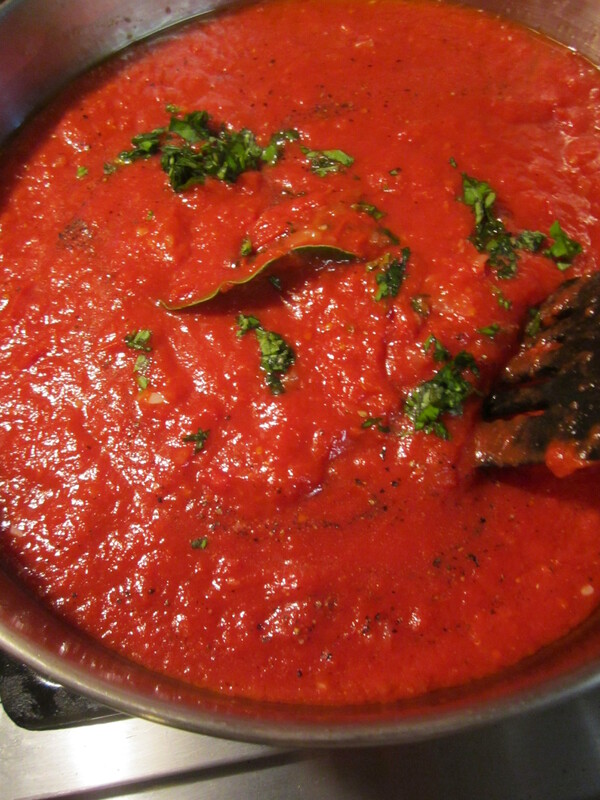 Top with basil and serve.